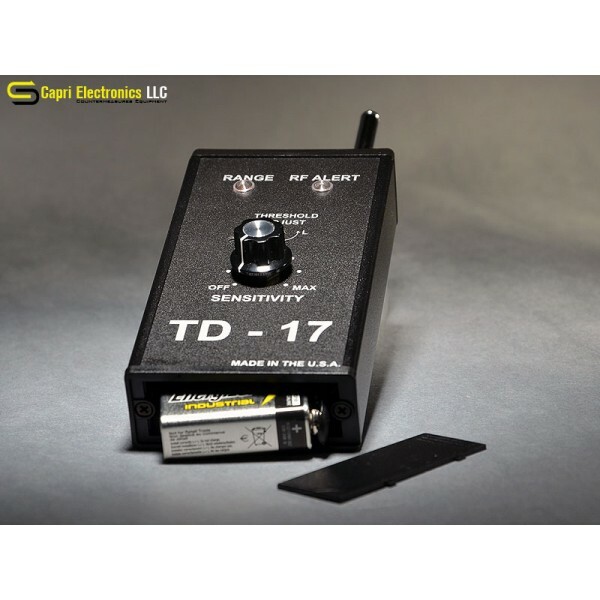 The TD-17 is designed to locate the most common type of electronic bug - the miniaturized radio transmitter - which can be planted by almost anyone, almost anywhere. Find hidden RF transmitters (bugs) planted in your home, office, car or attached to your telephone line. 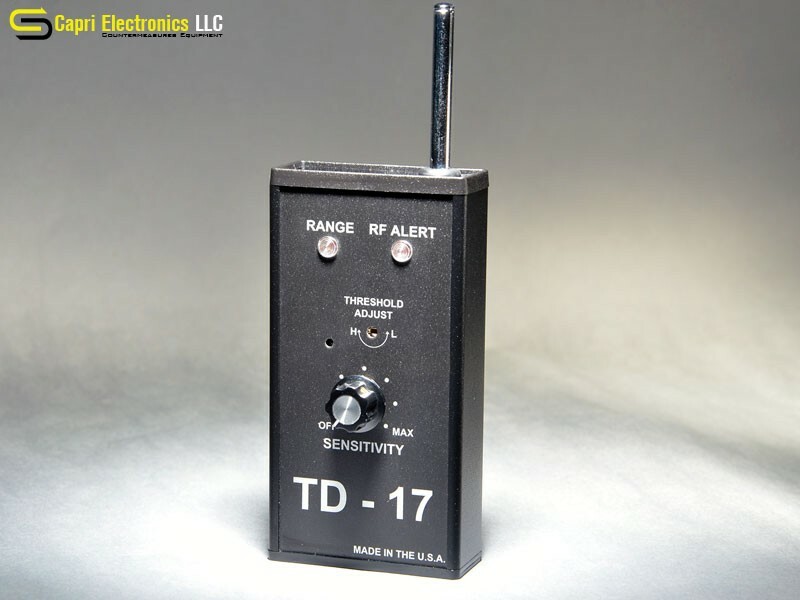 In use, the TD-17 warns you of the presence of a nearby RF transmitter, within the frequency range of 1 MHz to 1,000 MHz by the RF ALERT LED. The flashing RANGE LED and audio tone give an indication of the distance to the bug. The TD-17, which weighs 7 oz., is furnished in a high-impact case that measures 5.3" x 3.3" x 1.5". The antenna can be extended 33" and telescopes into the case for convenient storage. The unit comes complete with battery, antenna and instruction manual.